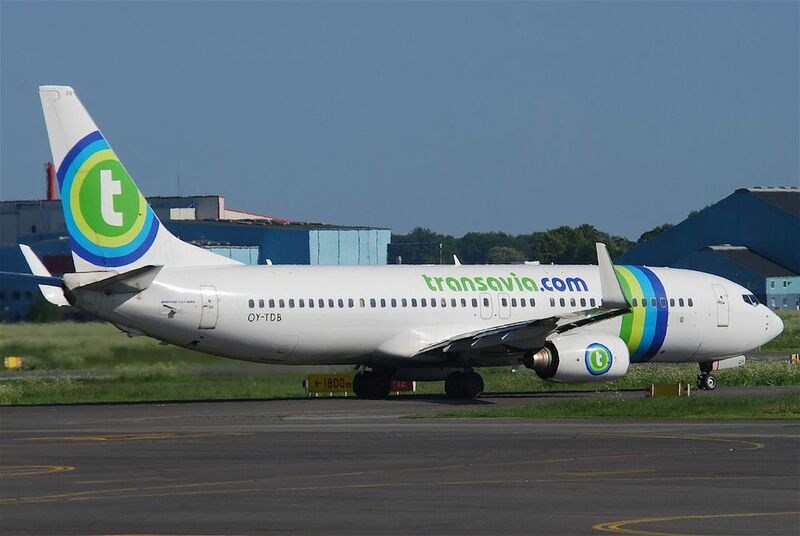 Transavia Airlines is a popular, cheap choice for Europeans (and international travelers) hoping to travel between Amsterdam, Rotterdam, and Paris-Orly Airports. A subsidiary of KLM-Air France, Transavia flies to 88 destinations out of its hubs in Amsterdam, Rotterdam, and Paris with service to both major cities (Amsterdam-Nice) and minor ones (Friedrichshafen-Rotterdam). On medium-haul flights, there is in-flight entertainment, but everything on board—earphones, food, beverages—has to be paid for, and food and drinks are also for purchase on short flights. With main hubs in Amsterdam and Paris-Orly and a fleet of 28 aircraft, Transavia Airlines serves 125 routes to 88 destinations at affordable prices, mostly to Europeans who hope to escape central Europe for a southern vacation. It's important to note, however, that connecting flights are not available on this airline—which could increase your travel cost if you plan to travel to multiple destinations. Although there is a credit card fee for purchasing flights through this method, the airline does offer customers a complimentary checked-in bag (which is rare for international flights), which is the only perk offered on this service—everything else comes with a cost, much like Spirit Airlines in the United States. Additionally, if a flight is canceled unexpectantly, you might be bumped to another travel date without compensation, which makes this airline ideal for travelers with flexible vacation times but a little risky for those on a tight schedule. Although Transavia serves over 80 destinations in Europe and Northern Africa, some cities are only accessible from one of the three hubs of this airline. Paris-Orly South serves Budapest, Djerba, Dublin, Edinburgh, Prague, Tangiers, and Eilat-Ovda airports. Meanwhile, the hub in Rotterdam (The Hague) serves Al Hoceima, Dubrovnik, Almeria, Pula, Lamezia- Terme. Venice's Marco Polo Airport and smaller airport hubs in Eindhoven provide service to Stockholm, Copenhagen, Prague, Marrakesh, Seville, and Tel Aviv. Lyon services only Sicily and Djerba. Because this is a budget airline, prices can be as low as 25 Euro ($30) per flight, and rarely exceeds 140 Euro ($167). Keep in mind, though, that additional checked bagged, carry-ons and amenities on your flight could significantly increase the overall price of your trip. If you're planning to travel on a budget, it's best to pack some snacks and refrain from buying anything on the flight—or just wait until you get to your destination and sample some local cuisine for a much better price.